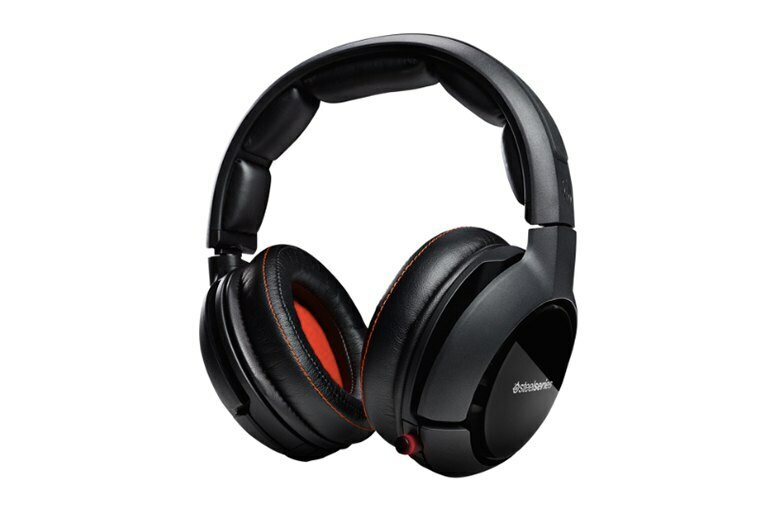 The overall design and memory foam pads provide a comfy fit for long periods. The USB controller has an excellent display and intuitive menu system. The spare battery and charger enable nonstop gaming. The sound suffers a little bit with music outside of games. The covers on the outside of the cups feel slippery and can make rotating the covers tricky. 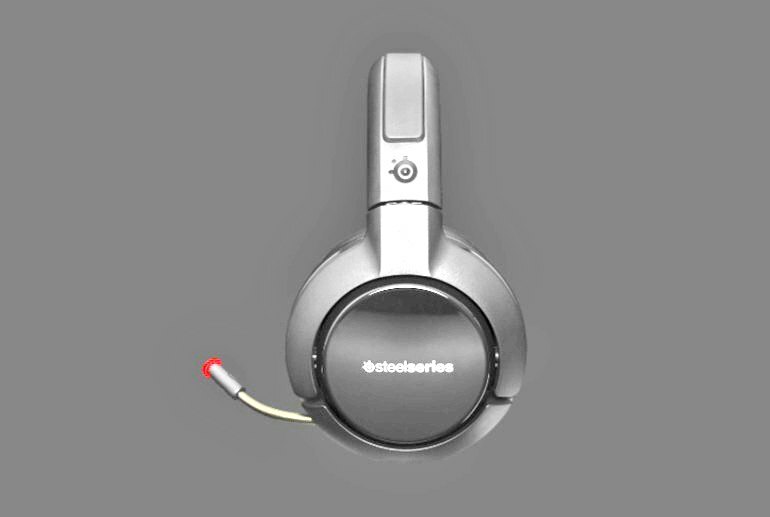 SteelSeries promises a lag-free and low-latency experience with its stylish H Wireless gaming headphones, which feature three Dolby surround sound technologies, on-earcup controls, an OLED transmitter, and a Sound Share port to let a friend join your gaming antics. The large OLED display shows profiles, audio sources, volume, and battery life. Use ChatMix to control the audio level balance between the game action and the conversations. Plus, use the five-band equalizer to customize your style of play. The box includes a transmitter, two battery packs, six cables, and a power adapter with four international plug ends. There are some drawbacks, though. 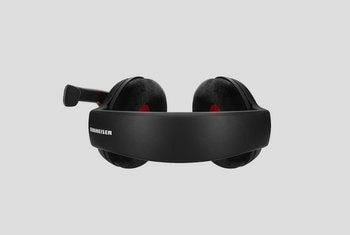 For example, there's no carrying case or pouch for either the headset or the transmitter. 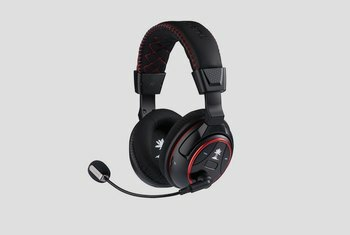 The menus are in English only and there's no software support on PC or Mac via SteelSeries Engine 3. But that's about it. The unidirectional microphone works well and I had no complaints form my online friends when using our VOIP program of choice (Razer Comms). It fits snugly and stays firm in place on your head, but that's thankfully not due to a severe, uncomfortable shape. In fact, the circular, donut-like cups fit well around the ears, and the cans tilt and rotate a fair bit to fit nearly any kind of dome. 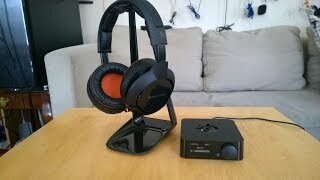 In terms of sound quality, the H Wireless offers what you’d expect from a crazy-expensive gaming headset. 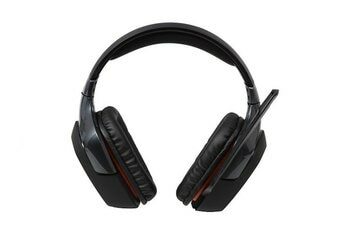 It sounds just about as good as any gaming set we’ve ever tried, with exceptional clarity, sound separation, and good bass response. I tested the headset by playing The Typing of the Dead: Overkill and it did a fantastic job of capturing the impact of that game's intense gunfire, zombie explosions, and gory sound effects. Even at high volumes, distortion only came from the game's distinct, bass-heavy, and purposefully anachronistic 1970s grindhouse audio, not the headset itself. 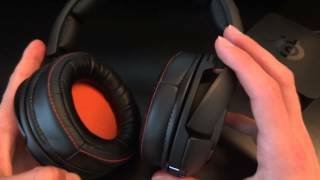 The SteelSeries differentiates itself from the competition with excellent wireless range, a fantastic interface, and an intelligent approach to batteries and charging. 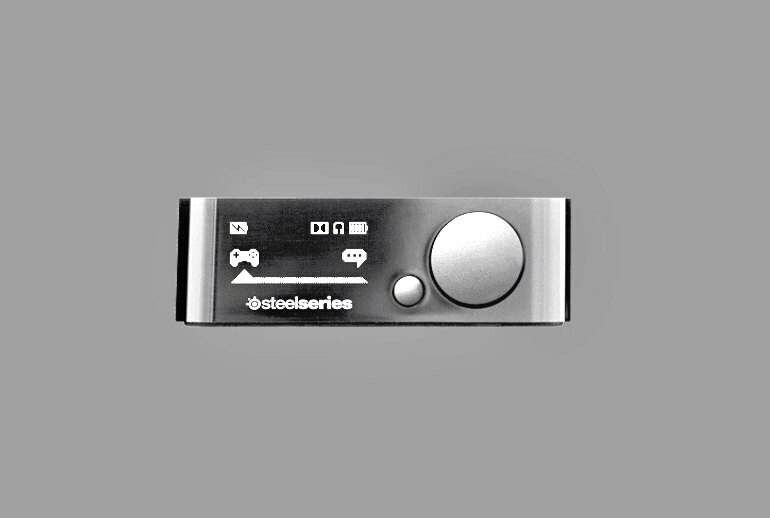 [The USB controller is] sleek and minimalist with just a volume knob/menu wheel and back button adorning the front and, hidden away when off, to the left is the OLED screen. This is exceptionally good quality with crisp, clear readouts that are perfectly visible from any angle. Its batteries cling to life for up to 20 hours, too. That’s the stated figure in SteelSeries’ own documentation, and it holds true in the real world too. Even extended max volume sessions have little effect on it. 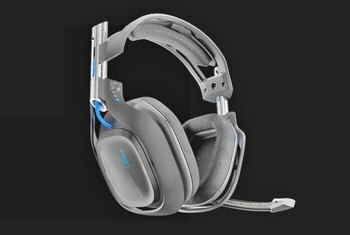 The amount of low end punch from the H Wireless is a little less than what I’m used to because I like to really rattle my teeth, but explosions and melee strikes [in The Borderlands game series] still gave that satisfying kick, while providing crystal clear audio across the board. 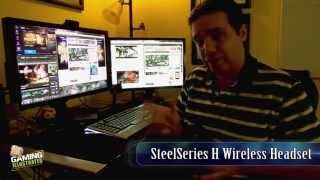 SteelSeries H Wireless Headset Review: The Best! !